Weekly marketing pop-ups from Norton directing me to download new products. Relentless and I need a way to stop this annoying spam marketing. Anyone have a solution? Norton doesn't. My only tech support answer has been to re-install the software. This has gone on for a 6 months. 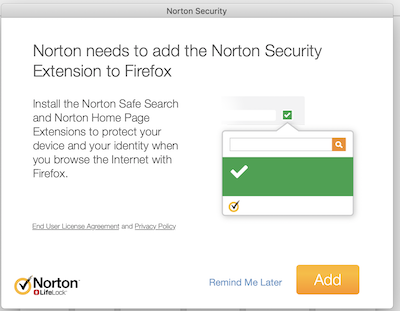 Re: How do I stop the Norton pop-up - "Enable All Norton Extensions"? Norton chat support says I must install all the norton extensions onto each of my 5 browsers, then disable each of the extensions. Has anyone found a way not do install this crap their my browsers? Bully-ware of the worst kind, and marketing overreach and spam in the best light.